Caption: On the "Only Way". 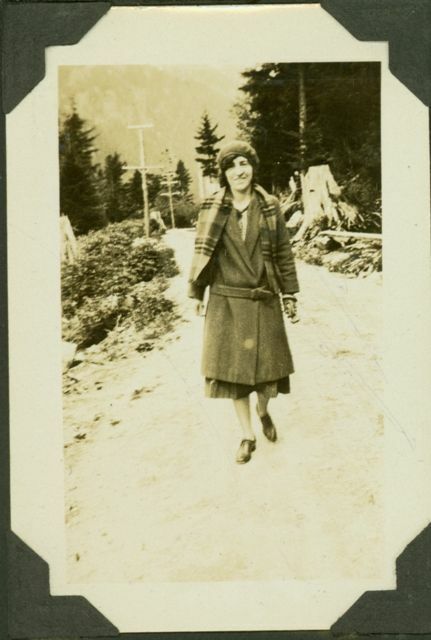 Item is an photograph of a woman, B.D. Hodsdon walking.